Drawing is an art of beauty that can be learned by practice. Todays sharing is about drawing a bow and an arrow for it. Arrow and bow go hand in hand. You can easily draw them just following step by step video tutorial described below. Arrows and bows are the old equipments being used by warriors to defends their selves and to attack on enemies in the wars. 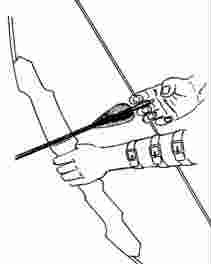 Just watch the video and let us know how was the video regarding drawing of easy bow and arrow. This is all about drawing an old equipment.